I live 3 hours away from one of the few (the only?) dedicated obstacle course facilities. How cool is it to be able to say that? 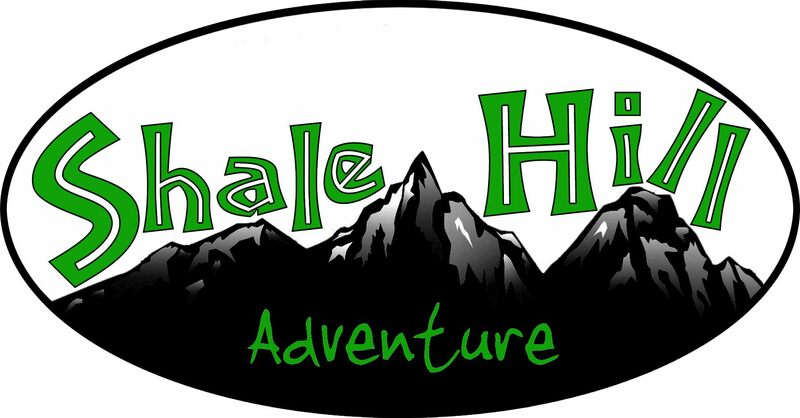 Shale Hill Adventure is based in Benson VT, three hours from my house in central MA, maybe four from Boston, it is is a facility that we well worth the visit for anyone interested in obstacle course racing. You hopefully already saw our review of the Polar Bear Challenge – an 8 hour endurance event held in January 2013 with high temperatures of barely 13f – and would you believe that the Polar Bear Challenge was one of their first major public events? It starts with Rob Butler – the owner and evil genius behind the facility. Rob owns the property – which consists of some farm buildings and plenty of land. The land covers many different types of terrain, from steep climbs and drops in woods, to open fields and tracks, and even a pond and some streams. Rob has created a 5 mile loop on the farm, starting at his newly renovated barn, winding down into the forests, through fields, back into “The Jungle”, then up to the barn again – this loop could easily be expanded and diverted into any length. This, really, is the beauty of Robs facilities – because he has the first permanently installed obstacle course – the only limit is his imagination. Believe me, he has one. The obstacles are epic, because they don’t have to move. Traverse walls that are easily four times the length of a Spartan wall, and have balance beams and overhead beams joining the segments together. Monkey Bars that are longer than anything you see at Tough Mudder, and turn to go up a 45 degree incline. Firemans poles you have to climb up, to get onto a platform, which is joining another platform by a cargo net, and a wooden slide back down again. Rope climbs up to ledges. Some amazing cargo net style obstacles, and wooden “notch” ladder obstacles. These were just small examples, and these were only the ones we had available during the winter race! We past several frames, or uprights that clearly had something on them at one point – but during the frigid, frozen Polar Bear event they just promised us more to come in the summer. These obstacles were not shoddy, temporary, “build it cheap, we’re using it once” constructions either. Nothing wobbled, shook, moved or did anything it wasn’t supposed to do. Everything was sturdy, well built and rock solid. Back at the barn – Rob has a second business making gym equipment, and we got to play with one of his first indoor Sinergy gyms – 90′ of indoor monkey bars, with all kinds of goodies… like I said – he has big ideas, big imaginations, and knows how to turn them into reality. I’m not just blogging about this to promote the farm either – Rob has jumped right into the Obstacle Course mix and in 2013 will be holding a 4 part series. Shale Hill Adventures will also be putting some good money on the line too – if you are fast, and win enough across the four events, you could bring home $1000 – not bad for a small race series right on our doorstep. Big plans and promises for 2014 seasons include giving the winner a Jeep, if enough people are attracted to the event – clearly, Shale Hill means business! As you can see, while there are conflicts – none of the other events provide big prize money. I would also point out, that only Shale Hill lets you train on the course too – if you buy a $280, 4 race season pass, you get 8 training days included, but by appointment you can hit the course on any weekend – and you would have an awesome time. Any level of racer is welcome, and from the elites to the weekend warriors, Shale Hill will challenge you on different levels – but still be hugely rewarding. However, many of us have already bought into other races, already committed to travel – it’s unfortunate, but as this sport of OCR explodes (you think 2012 was big? 2013 will be bigger, and 2014 HUGE), we’re going to find more and more overlap, and have to start cherry picking. I know Shale Hill will be high on my priory in the future! Shale Hill Adventure Farm is as local as it gets, and as good as it gets. No other race team or event series has the ability to hit up a permanently installed, friendly and welcome, challenging and exciting course. Huge thanks to Rob for supporting the Spahtens, welcoming us to Shale Hill, and personally, I can’t wait to get back out there!